﻿ Summer break is the time of the year when most students go back home and forget all about school. It is a nice time to go to the beach, play sports, and to catch up with family and friends. However, it is important to always look for ways to add on to your résumé, even when you’re on “break”. Here are some things that you could do this summer to make it more productive. As students in the CBE, most of us are all required to do an internship while taking BUSX 460. However, doing another internship on top of that one could put you at an advantage. Use Hire@TU to look for internships that will give you experience in your concentration. You can also use Student Academic and Career Services as a resource. Although you may be exhausted from the spring semester, you may want to consider taking a class or two during the summer. It will help you in the long run. Taking the summer course may mean taking fewer classes the following semester or even graduating early. If you have the chance to go to another country, do so! It is one of the best investments you could make. You will learn a lot about a different culture, possibly strike interest in learning more about that culture, and maybe even studying abroad in that country in a future semester. We live in a global society. It is becoming increasingly important to be able to speak more than one language. Summer is the perfect time to get started, since you will have more spare time. 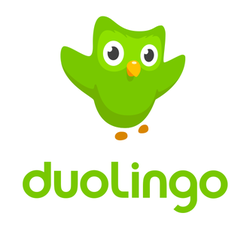 You may decide to take an intro class, buy a language learning program, or even use free online services such as Duolingo.com. There are endless volunteering opportunities in your community. If you have some time, look for places you could volunteer at around your area. Employers are looking for individuals that bring more to the table. Volunteering is a perfect way to add more to your résumé while also helping out your community. Make this the most productive summer that you can. Have a fun and safe summer, tigers! Congratulations to our graduating seniors.